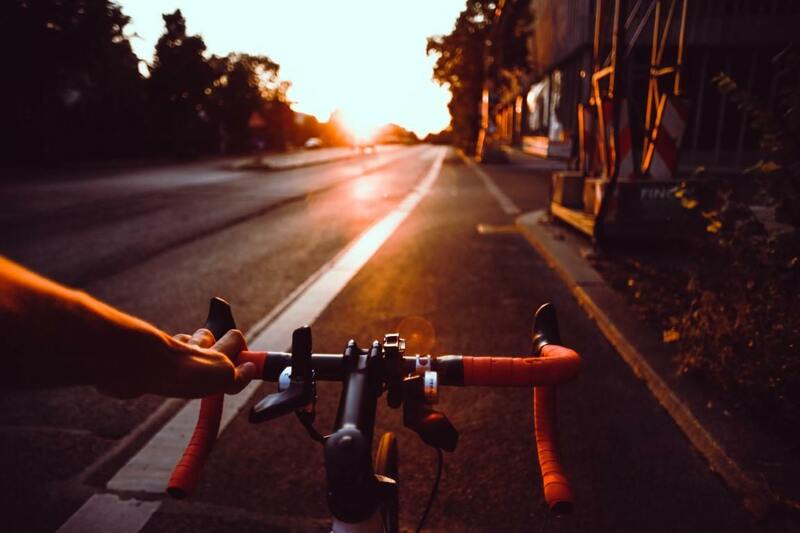 Sally Morin Personal Injury Lawyers secured a solid settlement for a twenty-eight year old avid cyclist on her bike hit by Uber. The Uber driver turned right in front of her across a bike lane. She suffered serious injuries as a result, but with the help of Sally Morin Personal Injury Lawyers, she walked away from the accident with a great settlement and was able to move forward with her life. This lovely young woman was riding her bicycle in the designated bicycle lane on one of San Francisco’s most popular cycling routes and on the newly upgraded bicycle lane eastbound on Oak Street and Divisadero Street in San Francisco. She was riding slightly downhill on Oak just before Divisadero at approximately 15-18 MPH. She was proceeding straight through the intersection in the newly painted green bicycle lane. There was a clearly marked right turn lane to the right of the bike lane at the Oak and Divisadero intersection. However, the Uber driver (who was driving a large SUV) tried to make a right turn from the lane to the left of the bike lane – which is NOT a legal turn lane. The cyclist had no time to avoid the driver, and subsequently collided into his vehicle, was thrown into the air and landed face-first onto the pavement. This was a very serious bike accident where she was hit by an Uber. As a result, she suffered extensive injuries, including numerous facial fractures, internal lacerations and bleeding, and a severe fracture in her arm that required two surgeries. It took her many months of physical therapy and treatment to heal from the injuries she endured in the accident. Despite the Uber driver’s insurance company’s argument that the cyclist was at fault for the accident because she tried to “pass on the right,” San Francisco personal injury attorney Sally Morin filed suit in the case to prove that the accident was 100% the fault of the Uber driver, not the woman riding the bike hit by Uber. Eventually, Sally took the driver’s deposition where she got him to admit he was at fault for the accident. At the deposition, Sally was able to get the driver to admit that he tried to pass the cyclist on the left and then “get around” her to make a right turn at Divisadero. However, at the last second, some pedestrians entered into the east/west Divisadero crosswalk, blocking his turn. He therefore had to abruptly stop, and was fully blocking the bicycle lane. Therefore, the cyclist slammed into the side of the SUV. Once this testimony was on record, Morin knew she would get a great result for her client. At the time of the accident, the cyclist was a successful, self-employed freelancer in the social media industry, with a steady income and a solid clientele. However, due to the accident, she was out of work for several months and lost almost all of her clients. As her medical bills piled up, and her source of income substantially decreased, this young woman sought help to recover her medical expenses and self-employed lost wages she incurred due to the accident. San Francisco Uber accident expert Sally Morin and her team worked hard to make sure this young, resilient woman walked away from this traumatic accident with a good settlement. The driver’s insurance company initially offered $350,000 to settle the claim. However, Sally and her team worked hard to increase that number—and ultimately settled the case for $500,000. Have you or someone you care about been riding a bike hit by Uber? Get a FREE online case evaluation from our SF bike accident legal team now.